WCS America kicks off for the last time in 2014! 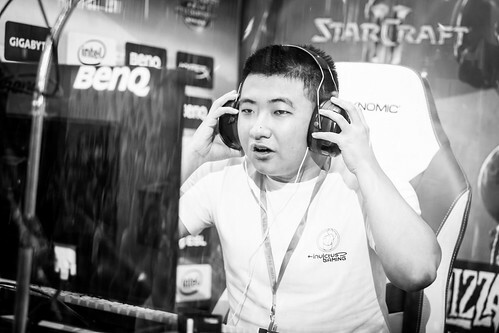 The last season of WCS America 2014 is about to begin, and with BlizzCon just out of reach of some of the players, it really is make or break time for America’s best. 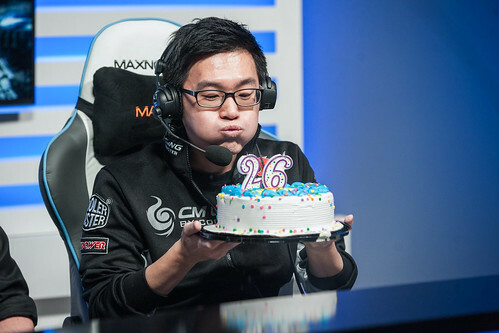 Pigbaby’s win last season demonstrated how a WCS win can take you from 0 WCS points to 16th place in the ranking. After climatic Challenger matches, the players for the round of 32 are set, and all that’s left for you to do is draft your players over at ESL Fantasy and watch the matches! Group A: Korean dominance or American upsets? American hopefuls will invest their dreams in Guitarcheese and Neeb as they attempt to overthrow the Korean giants in Group A. It will be no easy task - HyuN and Arthur are no strangers to WCS and shouldn’t have an issue outclassing the American players. In terms of picking your Fantasy player for Group A, HyuN is most definitely the safest bet. 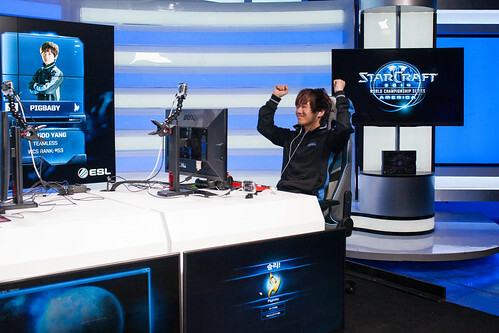 He won Season 1 of WCS America and finished in the top four last season. He topped his group in the RO32 in both seasons of WCS thus far, and with 25 bonus points up for grabs for choosing the winner of each group, picking HyuN seems like an easy way to get ahead in the Fantasy ranking. For this season of ESL Fantasy, ‘upset points’ have been introduced, which means that if a player who did not make it to the RO16 last season beats a player who did, they will receive five additional Fantasy points. However, you should be wary of the lure of choosing your players with the mindset of high-risk and high-reward as each map loss will incur a five point penalty. Guitarcheese and Neeb are the two players with the upset potential in this group, and if you were to opt for one, Neeb would be the guy to pick. 2014 has been the year of upsets, so if you pick the right player, you could reap the rewards. That being said, Guitarcheese and Neeb might not be the right players to take such a risk on, as neither have advanced past the RO32 so far. Group B: The Jimcredible Chinese? Drafting your player for Group B might prove slightly more challenging than Group A. Simply by looking at past WCS results this year, Alicia would be clear winner. 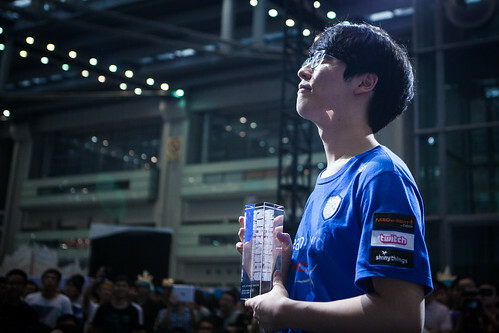 He finished in the top four in Season 1 and in the top eight last season, taking maps off of the likes of HyuN and Bomber on the way. Despite Alicia being a solid pick for Group B, there are some highly probable upset points to be won if you go for Jim. He was heavily hyped in WCS America last season, although he never really delivered in terms of results. The Jimcredible that was promised in 2013 finally came to pass at Intel Extreme Masters Shenzhen, where Jim won matches against Life and TaeJa. It should be noted that Jim plays from China, and online Jim with latency issues does not compare to offline Jim playing on his home turf. Having made it to the RO16 last season, there seems to be no reason to draft Nestea for your player in this group. Unless you are hoping for an unlikely return of Nestea circa 2011, Alicia is the much more obvious pick. The same goes for iaguz, who will be making his debut performance in WCS. If you are looking to get ahead with some upset points, Jim is definitely the sensible choice. As one of the most consistent StarCraft 2 players of all time, it might seem a little ludicrous not to draft Polt for your Group C player. Admittedly, he hasn’t made it past the RO8 in WCS 2014, but this does not detract from the fact that Captain America is always a good pick. He just took second place at MLG Anaheim, and is looking to make it to the semifinals in WCS for the first time this year. Jaedong failed to make it through to the round of 16 last season, meaning that there is a good chance to garner some extra upset points if you put your trust in the Tyrant. With two top four finishes at DreamHack Summer and Intel Extreme Masters Shenzhen, Jaedong has proven that he can still play ball with the best. Looking at the other players in the group, it seems that a second place finish in Group C is on the books for the Zerg player. Oz and Macsed make up the rest of the group and are most definitely overshadowed by the StarCraft legends in their group. Oz hasn’t really made an impression since his second place finish in Season 1, which should not go unnoticed. Towards the end of 2013 and the beginning of 2014, Oz would be a favorite to advance from the group. Some might say that he is more likely to advance than Jaedong in this group, but he finished in the RO16 last season and so it seems nonsensical to pick Oz over Polt. Macsed really has not made a huge impact in WCS. He has a few top eight finishes from WCS 2013, but his results are on the whole lacklustre. It is definitely possible that Macsed could cause a few upsets, but it doesn’t seem prudent to take the risk on him for your pick. Pigbaby is the only name that really stands out in Group D, which is surprising considering no one knew who he was until last season. 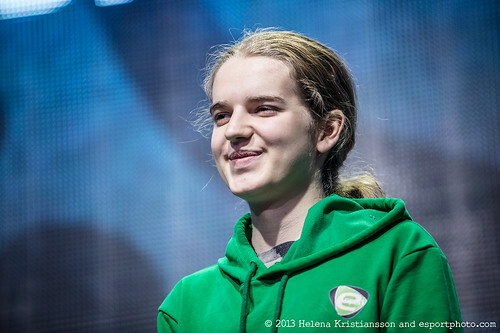 However, as the defending champion of WCS, he is the plain favorite to top the group. He has proven that he can beat the top players in America, and so it appears that there really isn’t much much competition in the group for the teamless Protoss. It really would be unwise to use your pick on anyone other than Pigbaby. It seems that Check, Shana and Illusion will be left to fight for the second spot in the RO16. Having made it past the RO32 last season, Check has the slight advantage over the other two players. Illusion has yet to make it past the RO32 in his past three WCS runs, but the level of competition in this group is significantly lower than he has had to face in the past. If you wanted to completely throw caution to the wind, you could draft Shana. This will be his first time in WCS, and he is undeniably the wildcard in the group. He has very little experience playing against non-Chinese players which might make it difficult for players to do their research on him. It would be a complete stab in the dark to choose Shana as your Group D player, but with up-and-comers continually on the rise, it would not be absurd. Group E: Two top Zergs, but will they make the top two? viOLet’s WCS career was put on hold for four seasons until he had resolved his visa issues. Many were unsure of whether he would still be able to compete with those who regularly had the chance to participate in WCS. However, with a top eight finish last season, viOLet has shown he is ready to return to his former glory days and is a sound Fantasy pick for Group E.
Revival is the second player likely to advance from the group. 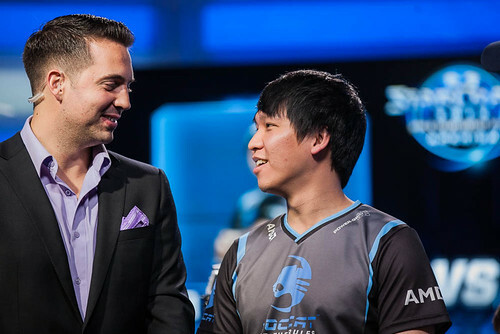 When he is on form, Revival can go toe-to-toe with anyone in WCS America. However, he isn’t the most consistent player, and whether or not he is on form seems to be the key question for the Korean Zerg. He does have more WCS experience than viOLet, and so it could be justified to draft Revival for the group. There is a small amount of upset potential in HuK, but it would be foolhardy to choose him over the two Korean players. His last big tournament result was back in 2012, and since then he has collected a plethora of RO32 and RO16 finishes. It would be even more reckless to decide on newcomer Arium, who thus far seems to only have competed in small weekly cups and online qualifiers. 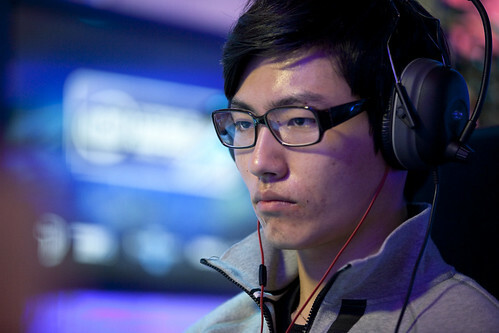 Heart flew firmly under the radar in WCS America until last season, when he finished in the top four. He seems to have been improving steadily during his WCS career, and so if this is a continuing trend, it is likely that Heart will at least advance to the RO16. He never really had to face off against any of the big names last season, so whether his success was simply the luck of the draw is yet to be seen. TooDming is the other returning Premier League player from last season, and has gathered two respectable - but not outstanding - top 12 finishes in WCS this year. With no potential for upset points, Heart might be a more favorable choice, but you would not be going out on a limb if you chose to draft the Chinese Zerg player. After being relegated to Challenger matches last season, Scarlett has climbed her way back into the Premier League. She seems to be recovering from the slump she has found herself in with two top four finishes at HomeStory Cup IX and MLG Anaheim. It is highly conceivable that she can cause upsets against both Heart and TooDming (although it seems ridiculous to call it an upset). Finally, we have Seed, who is perhaps the most obscure GSL Code S champion to date. The rise and fall of Seed happened so fast, with the shining beacon in his career seemingly only a blip in a vast sea of Code A finishes. Seed has recently made the transition from GSL to WCS America, having been recently picked up by Team Dignitas, and it will be interesting to see how a Code A mainstay will compare with the rest. Group G: Summer Terran TaeJa, or who else? Frankly it would be misguided if you weren’t to draft TaeJa for Group G. With three consecutive premier tournament wins, TaeJa is looking unstoppable. The Terran has made it clear that he wants to win BlizzCon at the end of the year, as well as every other tournament in the leadup. You really would be missing out on some easy Fantasy points if you were to forego picking the Summer Terran for this group. If you are determined to stray from the crowd, HerO could cause an upset in his first match against XiGua. The Protoss player is a familiar face in international tournaments, and certainly has the experience to beat the lesser-known Chinese player. However, XiGua has outperformed HerO thus far in WCS, so it isn’t a safe bet. hendralisk will be making his second appearance in WCS, and like last season, his odds to advance to the RO16 don’t seem great. He’ll have to play against TaeJa in his first match, and so it seems unlikely that there will be any upsets there. TaeJa is not an insurmountable opponent, however, as Jim proved in the group stages in Shenzhen. Group H: Can pUCK show his magic? 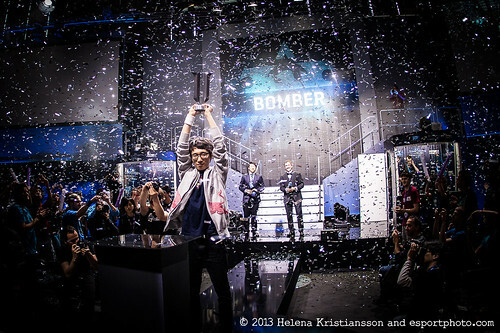 Bomber is a lot like his fellow Terran Polt: both incredibly consistent and unshakeable under pressure. A strong competitor in WCS Korea last year, he is still a force to be reckoned with in America, finishing in second place last season. He is a firm favorite to top the group and thus should also be a firm draft favorite. MajOr broke his RO32 curse last season when he finally managed to clinch a spot in the RO16. The Mexican Terran faced some tough competition in his group, and lost out on a spot in the playoffs to viOLet. Normally MajOr would have the potential for some upsets, however, as he finished in the RO16, it seems that Bomber would be the more secure choice out of the two Terrans. puCK will be flying the flag for the United States, and is probably one of the best American players. That, however, is not saying too much as he has only advanced past the RO32 once before. Foreign hopefuls will be happy to hear that, with only one Korean in the group, a foreigner is guaranteed to advance from Group H! Finally we have Slam, a Taiwanese player who has played in the Challenger matches of the two previous seasons. Not a lot is known about Slam, and he will be a mystery coming into the group. It is not implausible for him to advance over MajOr or puCK bit that does not mean it is probable. So now that you have the lowdown on all the players, and predictions for who is likely to top their group, make sure you draft your WCS America Fantasy team before the drafts for the RO32 lock tomorrow when the tournament begins. Make sure you catch the start of the group stages tomorrow (29th of July) at 15:00 PDT (00:00 CEST) - tune in here.